Thank you so much for the speed in which you repaired my head phones, I didn't expect to get them ba.. I emailed 6 companies last Sunday evening with a few questions. I received a reply from Craig at 8.5.. Thank you for a very prompt delivery for my order!Thats why I've dealt with you before.Happy hunting..
All new black finish Coiltek 10 x 5 inch Coil for Minelab Etrac. 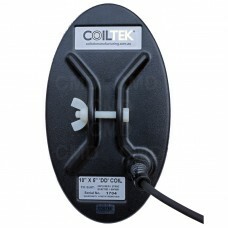 The smaller elliptical shape allows for better target separation making it a perfect accessory coil for areas infested with high levels of metallic junk.